Home Geekvape GeekVape Zeus X RTA Review – It Really IS A Cracking RTA…Literally! I’ve reviewed the previous two versions and indeed the GeekVape Themis RTA which was very much in the mould of those two. X marks the spot as in this is spot on for flavour and clouds...highly recommended indeed! 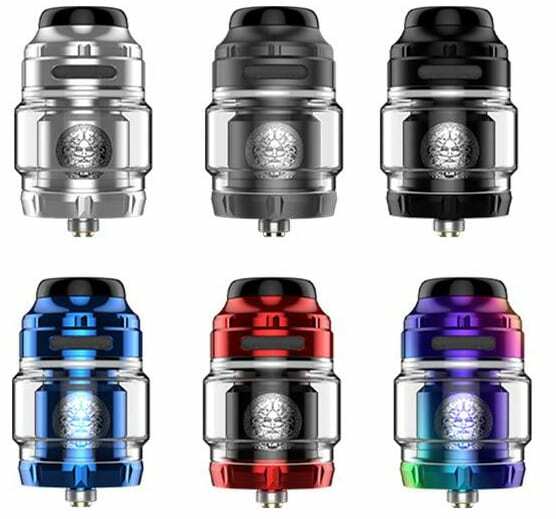 can i use this RTA on my Aegis mini? Yes you can but keep in mind the Aegis Mini has a maximum of 80W output. So it will of course depend on the build you are putting in there. You don’t want anything that is too low a resistance. This why this site has the best reviews. Only site worth reading real reviews not advertising. I have plenty of vapes and when i check reviews on same items i have i feel its really accuraty and well made review. I should have read here before buying bad tanks when i switch smoking to vaping. Flavour wise, which do you prefer between Zeus X and Kylin V2? You rated the Zeus’ flavour higher than Kylin V2 (95 vs 93). Did you rate the flavour in Zeus X higher, considering that it has a good flavour for a top airflow? Or it is indeed overall better than the Kylin V2 in terms of flavour? And by any chance, have you tried the OFRF Gear RTA? I’m considering to buy a new RTA, and would be very grateful for any input. Thanks! Zeus X gets my vote. It will need to be a very special RTA to get best of 2019 – still a long way to go though! Outstanding really happy I went with my order now! Great review as always and really eye opening on the wicking! Thank you 🙂 Yeah you’ve made a good choice – great flavour and clouds and looks awesome – enjoy!